Comics, comedy, community garden, live music, art and theatre and more. 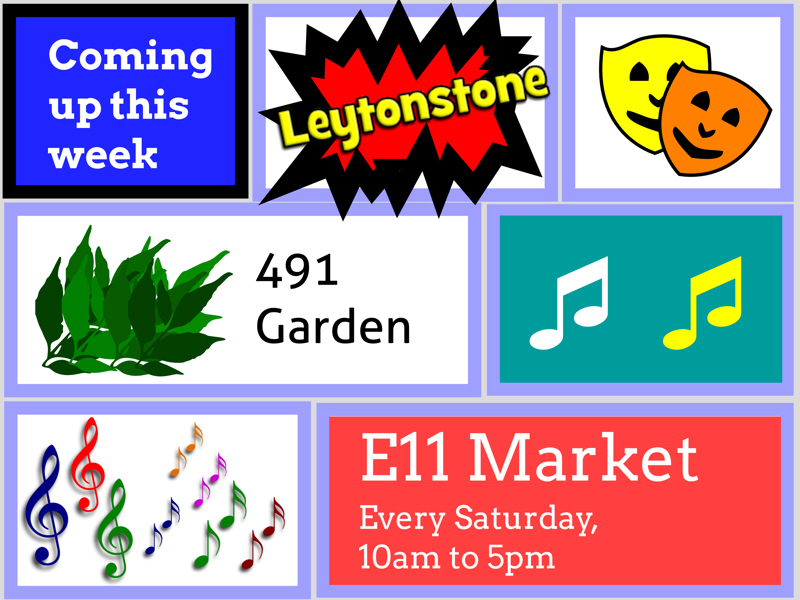 Here’s a round up of some of what’s happening in Leytonstone in the next week or so. Please share! Find out how to make your own comic strip with professional cartoonist Steve Marchant. The event is free but you need to book. See Waltham Forest Council website for more details. The Luna Lounge’s regular monthly Laughter Zone is on this Saturday, and on Friday they are featuring Silver Hill — acoustic originals and classic covers. See the Luna Lounge website for their regular programme of events. Monday nights are Quiz Night at the Red Lion. See the Red Lion website for details of their regular and special events. What’s Cooking has music on Wednesday’s and the 2nd, 4th and 5th Saturday of the month and is now at the Birkbeck Tavern. There’s Live Music on Friday Nights at O’Neill’s and look out for dates for live music at The North Star Sessions.